Do you have an idea for a design? Let us know, we will be happy to work together to bring your ideas into reality. We specialize in the design and layout of your personalized staircase. 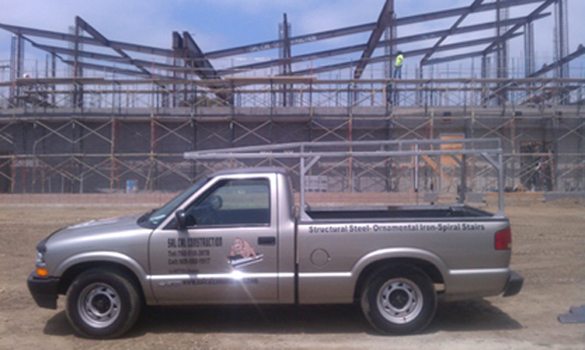 Sal Cal Construction can deliver metal spiral staircases, circular stairs and custom staircases. Sal Cal Construction is ready to handle a wide variety of erection projects including, Structural Steel Erection, Miscellaneous Steel, Stairs, Certified Welding – Stick and Wire, Decking, Railings. With our years of experience and desire for quality, we strive to make sure your new steel framed structure will be one you can enjoy for a lifetime.